The Hidden Genius Project (HGP), was founded in 2012 by five black male entrepreneurs/technologists who were unnerved by the dramatic juxtaposition between the high unemployment of black male youth and the plethora of career opportunities within the local technology sector. To address this challenge, the founders established a program to connect young black males with the skills, mentors, and experiences that they need to become high-performing entrepreneurs and technologists in a 21st century, global economy. 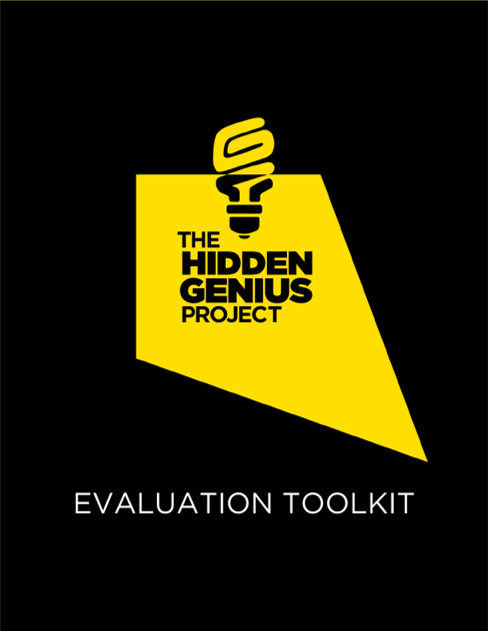 In 2017, SPR worked with The Hidden Genius project to develop an Evaluation Toolkit that would support the organization in their efforts toward becoming evaluation ready and data-driven. 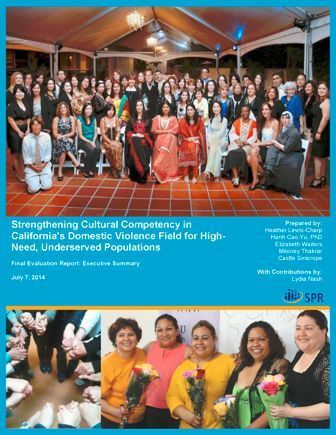 In the development of this toolkit, SPR held focus groups with HGP participants and alumni, interviews with program staff to refine their desired outcomes of their program, design of a logic model, and the creation of a survey tool to capture growth on desired outcome indicators. Under a Workforce Innovation Fund (WIF) grant from the U.S. Department of Labor, the Upjohn Institute for Employment Research expanded its delivery of services to employers in Southwest Michigan’s Employer Resource Network® (SWMERN). Since 2014, SPR has served as the evaluator of the Michigan WIF grant assessing expansion of ERN services to employers in Southwest Michigan’s four counties and coordination with the public workforce system in Michigan. 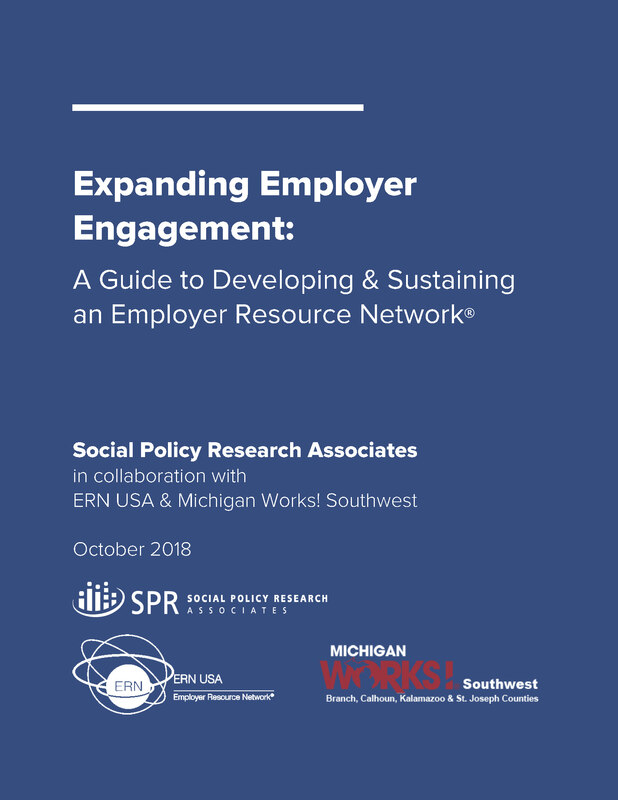 In 2018, SPR developed an implementation guide, entitled Expanding Employer Engagement: A Guide to Developing & Sustaining an Employer Resource Network® that provides detailed guidance on the preparations necessary to develop and implement an ERN based on the experiences of the SWMERN. The guide is designed primarily for employers working collaboratively to attract and retain their workforce, but also for public workforce professionals and other community members—local workforce development boards, economic development agencies, social service agencies and community organizations—interested in improving economic vitality in their communities through stronger business engagement and support for the workforce. The Oakland Fund for Children and Youth (OFCY), created in 1996 through a ballot initiative, represents a large investment on the part of Oakland residents to support the dreams of young people and their families. OFCY provides strategic funding to programs for children and youth, with the goal of helping them to become healthy, happy, educated, and engaged, community members. Since 2015, SPR has served as the evaluator of OFCY’s community-based programming, including, early childhood, student success, youth development and empowerment and career awareness and academic support. In 2017-2018, SPR developed two learning papers to take a deeper dive and tell a richer story of the diversity of programs within two of OFCY’s funding strategies: 1) Youth Development and Empowerment and 2) Career Awareness and Academic Support. 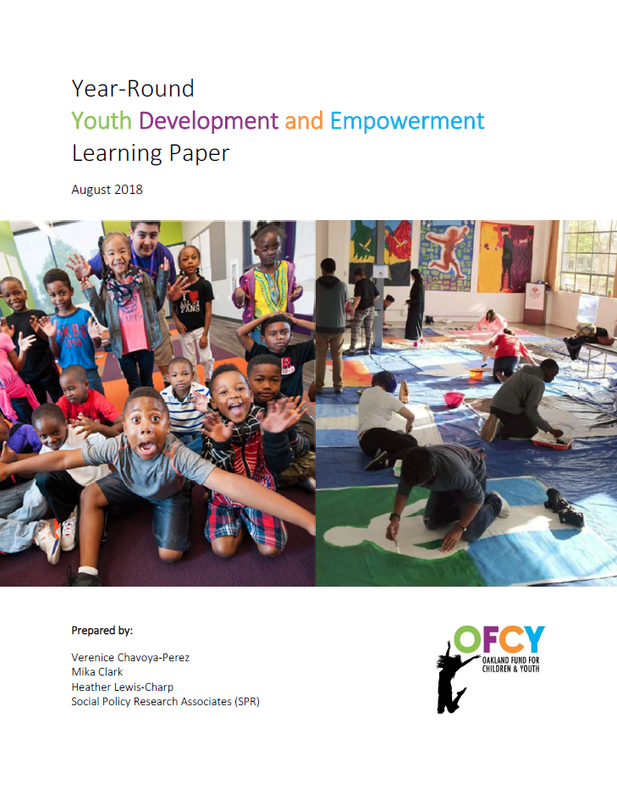 These learning papers provide descriptions of youth characteristics served in FY 2016-17, highlights program practices to best serve their youth participants, and lessons learned and implications for OFCY. The REACH program (Resilience, Education, Adventure, Community, and Health)—funded by the Orfalea Family Foundation—is a four-year experiential education program for first-generation college students living in Santa Barbara County. REACH supports students as rising high school juniors through their transition to postsecondary education. REACH offers activities in six core program areas: outdoor experiences, postsecondary education, health and wellness, financial literacy, community involvement, and personal development. 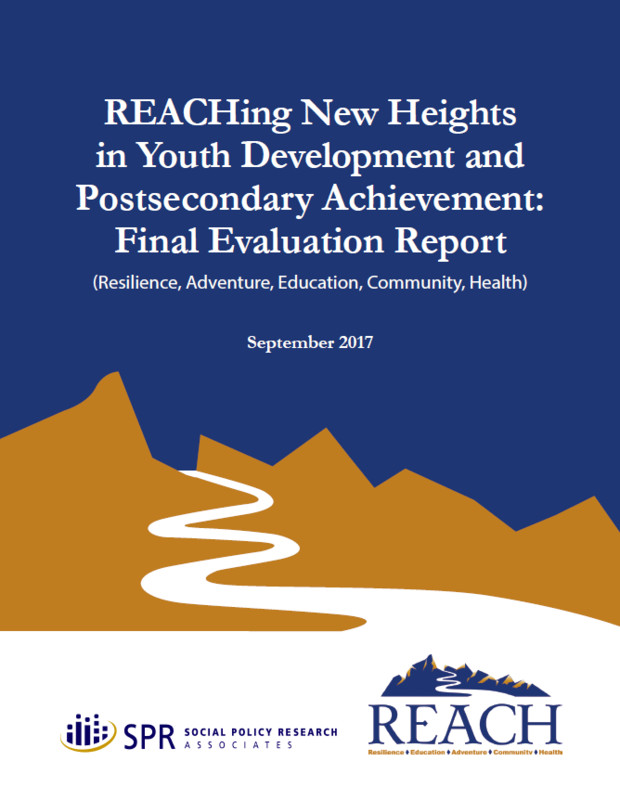 SPR conducted an 18-month mixed-methods evaluation that examined postsecondary education outcomes and youth development outcomes and lifted up lessons for the field of education and youth development. 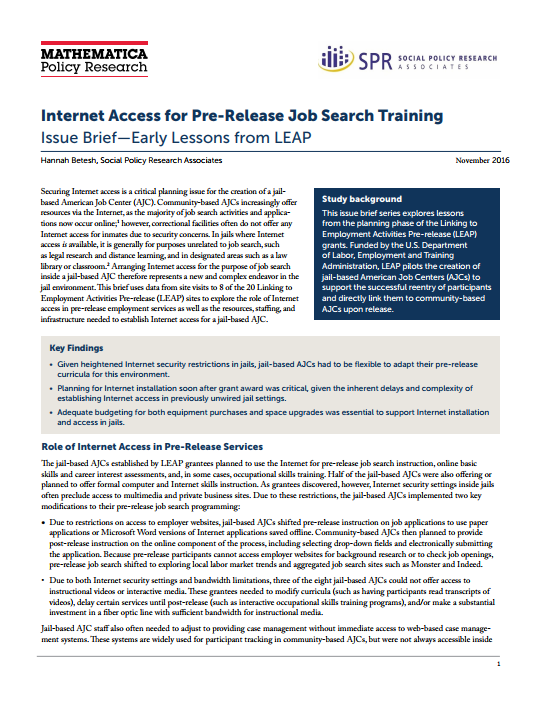 The Linking to Employment Activities Pre-Release (LEAP) grants awarded by the U.S. Department of Labor are designed to strengthen ties between the public workforce system and local correction facilities by establishing satellite American Job Centers in local jails. SPR, together with its partner, Mathematica Policy Research, conducted a formative evaluation to identify common challenges and promising approaches to launching LEAP-funded activities across the 20 grantees nationwide. The formative evaluation generated five issue briefs on key themes in program start-up, linked below. The project also includes an implementation evaluation to document how LEAP programs operate; and a feasibility assessment which explored the potential for a rigorous impact evaluation. To address high rates of recidivism among reentering offenders, the U.S. Department of Labor’s Employment and Training Administration (USDOL) funded a national group of 24 faith and community-based organizations to provide workforce assistance, mentoring, and case management services. 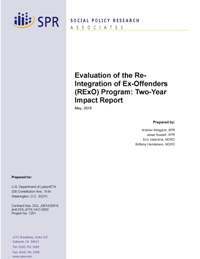 SPR, funded by US DOL, conducted a random assignment evaluation that examined the impacts the RExO program had on the employment and recidivism outcomes of the more than 4,600 study participants. The evaluation included a three-year impact study, an implementation study and a survey of participants. 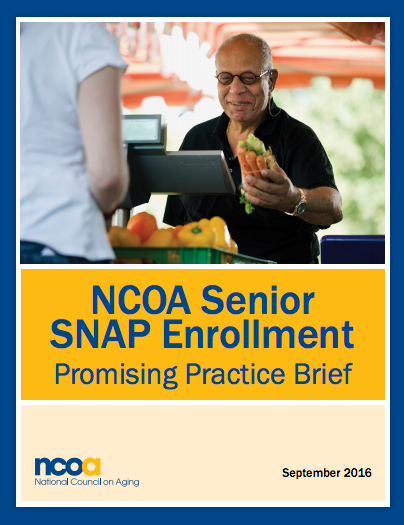 The National Council on Aging (NCOA)’s Senior SNAP Enrollment Initiative is designed to fight senior hunger by increasing the effectiveness of community based organizations and agencies that help older adults enroll in the Supplemental Nutrition Assistance Program (SNAP). With support from the Walmart Foundation, NCOA distributed $2.15 million in grants over two years among more than 40 community-based organizations and agencies that conduct SNAP outreach to older adults and assist them with the application process. NCOA allowed prospective grantees to design their own individualized approaches to increase SNAP enrollment within their service areas. After awarding a second round of grants in 2015, NCOA engaged SPR to produce a brief that summarizes promising practices worthy of dissemination. The practices selected were drawn from four grantees that NCOA identified as exemplifying promising outreach and enrollment practices. SPR conducted site visits and follow-up phone calls with Agency on Aging of South Central Connecticut (AASCC), DC Hunger Solutions (DCHS), Korean Women’s Association (KWA), and Senior Community Outreach Services (SCOS), Inc. In 2012, The Blue Shield of California Foundation’s program area Blue Shield Against Violence launched a project called “Strengthening Cultural Competency in California’s Domestic Violence Field for High-Need, Underserved Populations” to support and promote promising culturally competent practices within the domestic violence field. This report captures the outcomes of the two-year evaluation at the organizational and field level. Since 2007, the W.K. 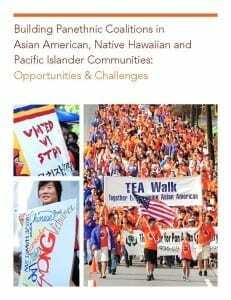 Kellogg Foundation and the Asian Pacific Islander Health Forum has invested more than $20 million to support development of health equity collaboration within and across Asian American, Pacific Islander, and Native Hawaiian (AA and NHPI) communities across the nation. In 2013, SPR therefore conducted a snowball social network analysis starting with these funded partners, and extending to over 1400 organizations around the country focused on improving the health and well-being of AA and NHPI communities. This paper provides an overview of this emerging network, as well as presents implications for how to approach strengthening and leveraging this network going forward. Since 2009, the W.K. Kellogg Foundation has invested over $100 million to foster racial healing and eliminate policies, practices, attitudes, and cultural messages that reinforce differing outcomes by race. 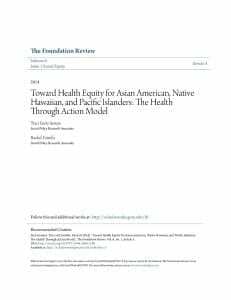 Health Through Action represented an unprecedented level of investment targeting Asian Americans, Native Hawaiin, and Pacific Islanders (AA and NHPI). 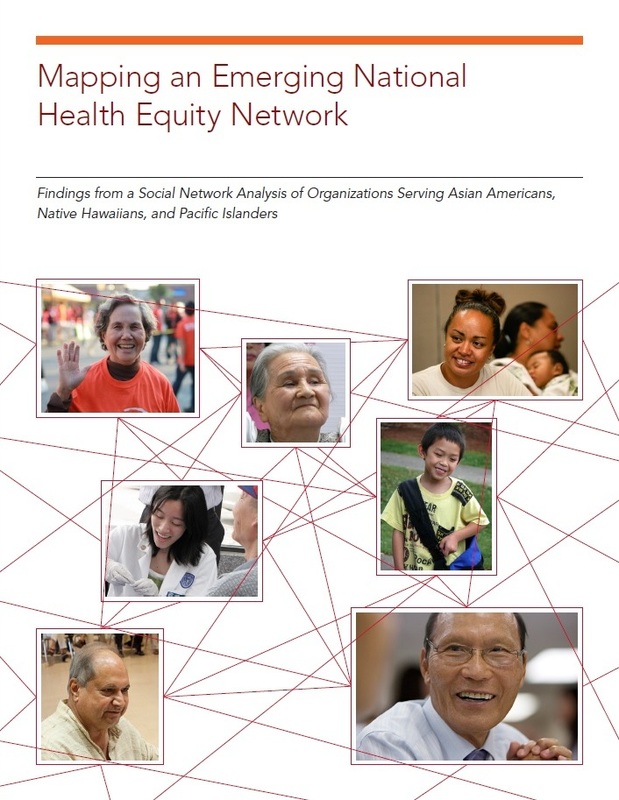 Embedded within the foundation’s racial equity portfolio, it was the first time a private-sector foundation joined forces with a national AA and NHPI organization to acknowledge and address health disparities facing this population. This paper is one in a series of evaluation products emerging from SPR’s evaluation of Health Through Action (HTA), a $16.5 million, four-year, W.K. Kellogg Foundation supported initiative to reduce disparities and advance healthy outcomes for Asian American, Native Hawaiian, and Pacific Islander (AA and NHPI) children and families. In 2010, domestic violence (DV) service organizations in California faced considerable economic and political upheaval. One of the most significant DV public funding programs in California was cut, forcing agencies to close or lay off staff and mobilize emergency fundraising and advocacy campaigns. In response, in 2010, Blue Shield of California Foundation (BSCF) launched the Strong Field Project (SFP), a 4-year, multi–million dollar statewide, collaborative effort to build a strong, coordinated network of DV service providers in California. The SFP has a three-pronged approach: (1) a leadership development program, (2) organizational strengthening grants, and (3) network building and knowledge sharing. In this report, we look at how the contours of the California DV landscape have changed since the SFP’s inception and how the SFP continues to impact the individual, organizational, and field levels. 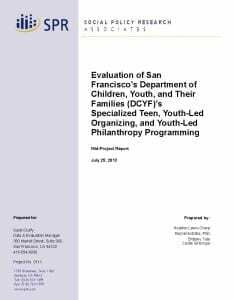 This project is evaluating educational and youth development outcomes for youth participating in 68 after school programs in San Francisco. Data sources include phone interviews at 17 “case study” programs, site visits to 12 “best practice” programs, an online youth survey and an examination of administrative data from the San Francisco Unified School District. 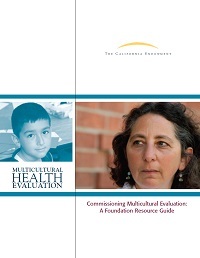 One in a series of publications from The California Endowment’s Diversity in Health Evaluation Project, this resource guide was designed to assist foundation staff with conceptualizing and commissioning evaluations of initiatives and programs in diverse communities.